Fun and Creative ideas for Teaching English: Who are more likely to be bullies – poor kids or rich kids? Bullying is the repeated and systematic abuse of power with the aim of causing intentional harm. Examples of bullying have been found in all societies, including among modern hunter-gatherers and in ancient civilisations. But new research has shown that in the modern age, we can draw few strong conclusions about whether bullies are more likely to come from richer or poorer families. In hierarchical social settings, anybody can be at risk of bullying. Some researchers consider bullying to be an evolutionary adaptation, designed to gain access to resources, secure survival, and allow for more mating opportunities. Bullying can also reduce stress upon bullies: by enabling them to develop a culture of fear and respect it deters others from attacking them and means they have to spend less of their time fighting. 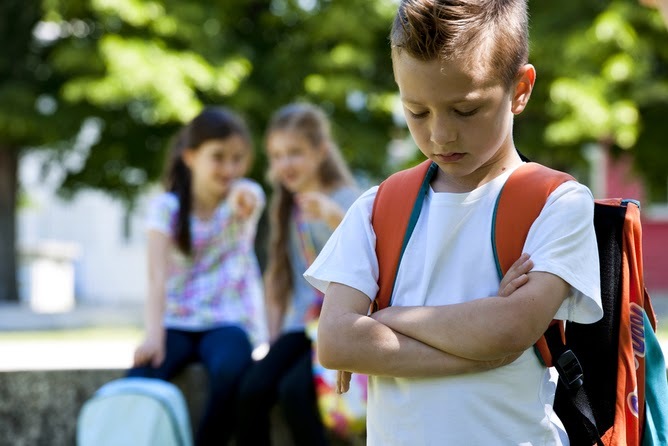 While children diagnosed with conduct disorder or delinquency are more often found in socially disadvantaged groups, such as among families with low socioeconomic status, it is less clear whether bullies are also more likely to come from these backgrounds. If bullies are motivated by the desire to obtain greater status and dominance, and use strategic behaviour as a means of gaining social success and romantic partners, then it is likely they will be found in similar numbers among all socioeconomic groups. To explore this, we investigated whether being a victim, bully, or bully/victim (someone who is victim but also fights back) was associated with socioeconomic status. Our research synthesised findings from 28 studies published since 1970 covering 342,611 children and adolescents in North America, Europe and Australia. We found a weak association between socioeconomic status and being a bully: bullies were only slightly more likely to come from middle or lower-socioeconomic backgrounds. In contrast, victims and bully/victims were more likely to live in poorer families. Fewer victims came from richer households. The results suggest that bullies exist across all socioeconomic groups: they are as likely to be found in deprived inner city areas as they are in leafy, suburban schools in well-to-do neighbourhoods. In contrast, those who become victims, particularly victims who retaliate unsuccessfully (bully/victims), are more likely to be raised in less well-off families. Overall, it seems that socioeconomic status is not the most accurate indicator for identifying those involved in school bullying. These findings for bullies support an evolutionary interpretation of bullying situations. Unlike other forms of child aggression, such as conduct disorder or delinquency, which can result from psychiatric problems within the child, bullying appears to be a social strategy, which is used to gain access to resources and achieve greater social status. Emerging evidence shows that bullies are more prevalent in social settings characterised by hierarchical social structures, and more financial or social inequality. Greater financial inequality in nations, as well as more hierarchical classroomand household structures all increase the risk of children bullying others. The more unequal a social setting, the more likely it is that using any means of getting ahead is endorsed. Contrary to views held by some teachers, parents and even psychiatrists that bullies are poorly adjusted, there is also increasing evidence that bullies excel αt reading other people’s emotions, and are often skilled manipulators who use a variety of social strategies. These may range from classical bullying (verbal, physical, black mailing or social exclusion) to more “pro-social strategies” such as publicly offering favours that make the victim feel uncomfortable and cannot be repaid. The benefits to bullies have recently been shown in a range of longitudinal studies, which found bullying others had few psychological, health or economic downsides in early adulthood. It has actually been shown that being a bully may be protective for health: bullies were found to have less “chronic inflammation” – caused when the body tries to fight an infectious agent – and therefore might be at a decreased risk for developing cardiovascular or metabolic illness. In contrast, low socioeconomic status does somewhat increase the risk of being victimised at school. Standing out from the rest of the peer group such as being unable to afford lifestyle items may single out children for victimisation. Alternatively, characteristics which differ by socioeconomic level, such as parenting strategies, may explain this association. Harsh parenting practices and greater rates of domestic violence increase the risk of being victims or bully/victims, but are also more often found in low socioeconomic households. Overprotective, or so-called “helicopter parenting”, in particular, increases the risk of becoming a victim of bullying. Overall, bullies are found in all socioeconomic groups while victims or bully/victims are slightly more likely to come from lower socioeconomic backgrounds. To predict who might become a victim or bully/victim, a combination of background, family factors, such as parenting or sibling relationships, and individual characteristics need to be considered. As bullies are found in all social strata, social conditions can mean that anyone is at risk of becoming a victim, particularly those in hierarchical school settings who are new or different, and have few friends to support them.